Meet the Brewers, Experience the Beer. York County is home to currently 17 breweries and counting. 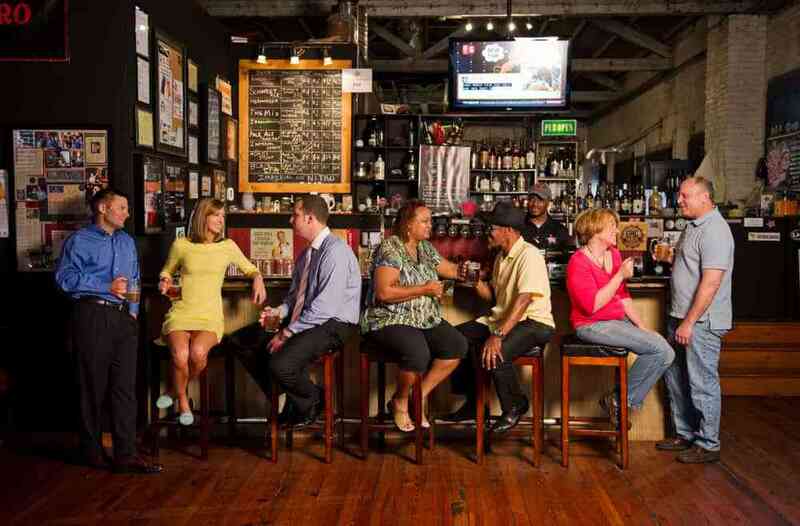 The York County Ale Trail offers walking tours between the established and up-and-coming breweries of York City. 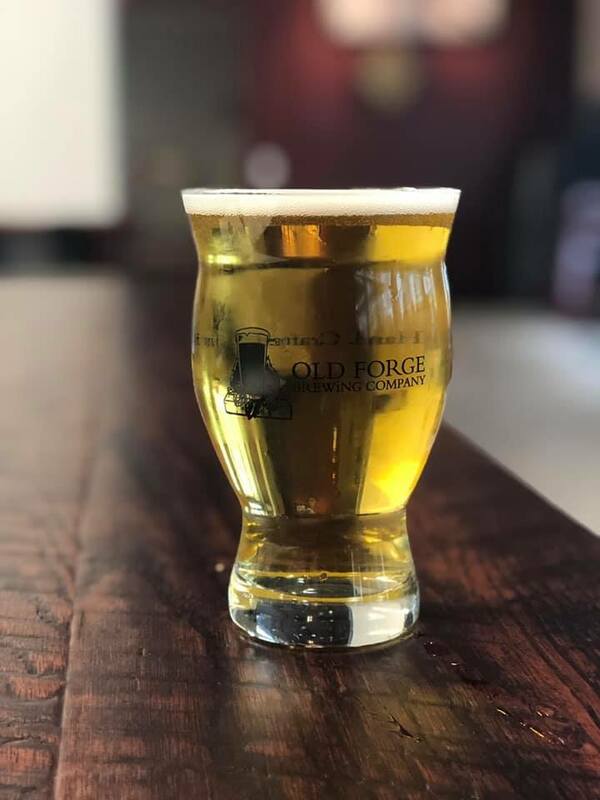 Visitors and locals alike can buy tickets that include stops at 4 breweries, exclusive facility tours, guided sampling, and local historical/anecdotal insight from an experienced Beer Guide that will lead each group. The addition of breweries outside city limits throughout the county to the York County Ale Trail, as well as bus tours, are anticipated for Spring of this year. York County has a rich history of brewing local craft beer dating back to the founding of our country. With today’s booming craft beer industry, York is once again at the forefront, featuring 17 breweries situated throughout its rolling hills, farmland and picture-postcard main streets. This growth mimics that of the state: Pennsylvania has grown to 7th in largest number of craft breweries in the nation and holds steady at #1 for highest volume of craft beer produced. Of Pennsylvania’s 280 craft breweries, one third of them are in the Central PA area. Our founder, Glenn Smith, thinks it’s about time to show that off. In 2001, he moved to York and, along with an army of other people helped lead the charge of the City’s renaissance, which has included a blossoming and burgeoning craft beer scene. For more than a decade, he has enjoyed many “beercations”, visiting small, independent breweries throughout the country. “I’ve heard their stories, learned about their craft, sampled their wares, and gained a better understanding of the variety and uniqueness of the craft beer industry. It is my vision to create a similar experience and opportunity for others both visiting and living in York County. We have a lot to offer,” says Glenn. Liquid Hero Brewery came to be when 3 friends, Christian Quinlivan, Matt DePrato and Joshua Hoke, sat around one night and conceptualized the idea, from there they started doing a lot of homebrewing and experimenting to create brews that people would enjoy drinking. After a year of experimenting, they started to submit their brews into local contests, like the 2009 York Microbrew Fest where people showed a huge love for their beer and wanted to know where they could purchase it. Finally, around September of 2011, Liquid Hero made its mark on downtown York by opening their first location at 50 E. North Street. 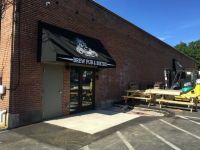 Jesse De Salvo with co-founders Ashley Garvick and Ryan Johnstonbaugh started Crystal Ball Brewing Company in West York on West King Street in 2013, and have since opened a second location in downtown York in February of 2018. They utilize the fresh, local ingredients that are vastly available in York County and combine them with traditional brewing techniques & the latest technology to produce world-class beer. Their brews range from traditional, to crazy experimental brews that are aimed toward the more adventurous craft beer drinkers- their brewery aims to provide beverages for everyone to enjoy. Founded by Jared, Chuck, and Doug Barnes, Collusion Tap Works opened its location in downtown since in September of 2016 with a 7 barrel brewhouse, 1 barrel pilot system, and a minimalistic style kitchen in the tasting room. Before starting Collusion, head brewer Jared Barnes has done work at Southern Tier Brewing Company in New York, Darwin Brewing Company in Florida, Mispillion River Brewing in Delaware, and until May, 2015 was the head brewer at Wyndridge Farms. Collusion Tap Works has been helping to strengthen the craft beer community in downtown York one keg at a time. 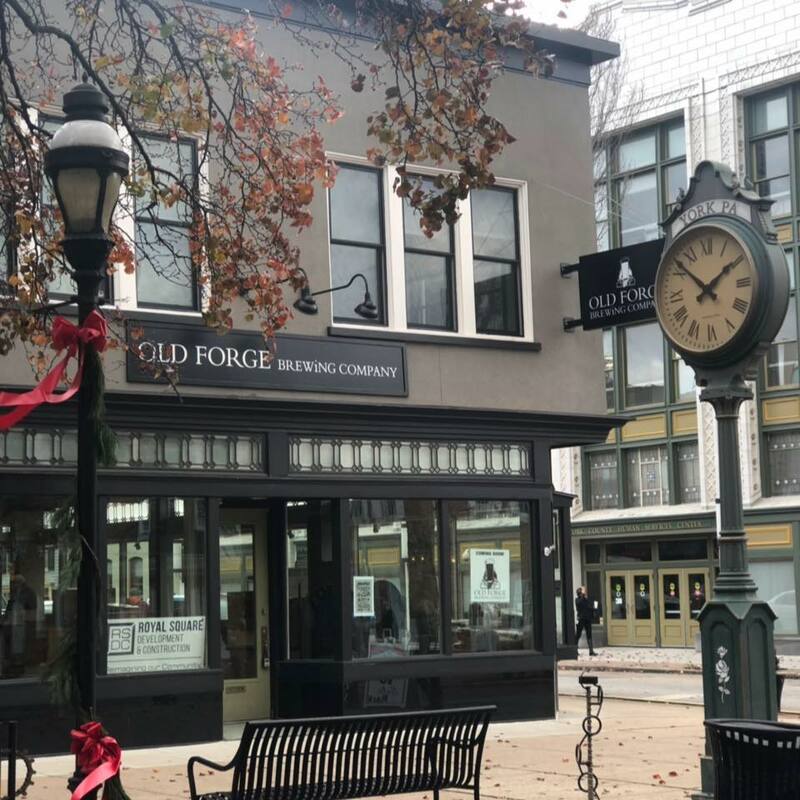 Old Forge Brewing Company opened its doors in 2008 in Danville, PA, and moved their second location in downtown York in late 2018. When they first opened, they kept these three goals in mind: to make the best beer and food possible, to utilize local business/artisans/farmers/craftsmen whenever possible, to never sacrifice quality for growth. Owners Damien & Maria Malfara realized that sticking to these goals might make things more difficult for them, but they see it as worth it to be able to support other local businesses. The brewery appreciates the uniqueness and quality they receive when working with local artisans rather than generic store bought items. Their hand-crafted beer is made in small batches at their Danville location to ensure quality and peak freshness, while the delicious menu has ingredients sourced from local farms and markets wherever possible. Take the time to notice their bar, tables, fixtures, unique tap handles, plates, bowls, sample trays and beer mugs- you’ll notice something special about all of them. Mudhook Brewing company started out as an idea between Jeff Lau and his son-in-law Tim Wheeler to start a brewing company in order to help revitalize the then drab landscape of downtown York, PA. Jeff, having experience running an insurance agency, took the helm as owner and Tim would brew the beer. 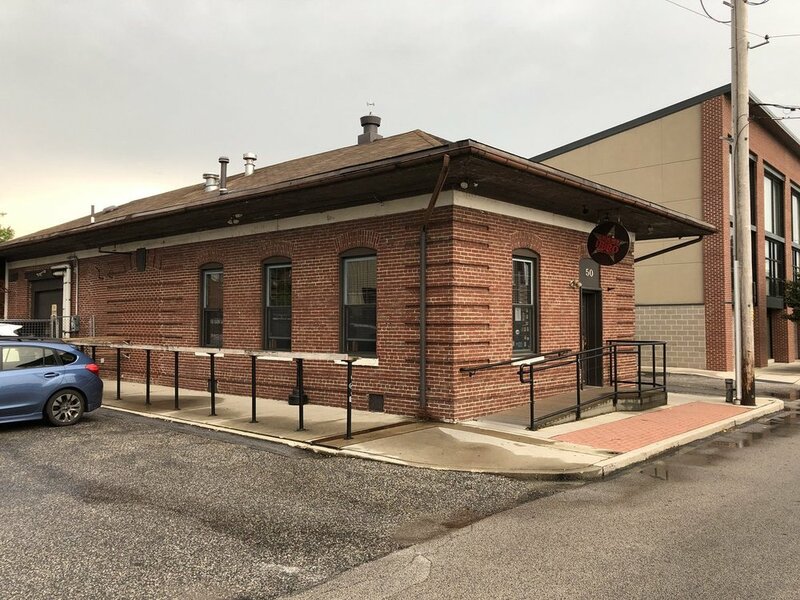 After installing tanks and brewing equipment inside the York Central Market next to the restaurant, the duo opened the door to thebrewpub in 2010. Since it's inception in 2010, Mudhook Brewing company has been a cozy, inviting atmosphere where guests are hosted by friendly and warm staff. More recently, the restaurant has centered its focus on serving beer inspired dishes while pouring classic, traditional, and unique brews. Expect a casual atmosphere, consistently good brews, and quality food on a daily basis. Brewing & popping up at different Beer Festivals & other events, Gift Horse has made quite a name for themselves with the York community, along with earning themselves quite a few awards. They became official members of downtown York with their brick & mortar locations at 117 & 125 N. George Street that opened Summer of 2018. Over the past three years, their brewers have learned a lot, given away A LOT of beer, drank a lot of beer, but most importantly made a lot of new friends along the way. Owners Damien & Maria Malfara realized that sticking to these goals might make things more difficult for them, but they see it as worth it to be able to support other local businesses. The brewery appreciates the uniqueness and quality they receive when working with local artisans rather than generic store bought items. Their hand-crafted beer is made in small batches at their Danville location to ensure quality and peak freshness, while the menu has ingredients sourced from local farms and markets. Ticketing is live for walking tours in our Downtown York area. This spring, the Ale Trail will add a bus to offer transportation between York County breweries and a place to store beer purchased for attendees to take home. • 3 Brewery Tours: Crystal Ball Brewing Co., Collusion Tap Works, & Gift Horse Brewing Co.
We’ll take your group around on foot or by bus. Contact us for special pricing. Purchase both walking tours and you’ll receive a discounted price! 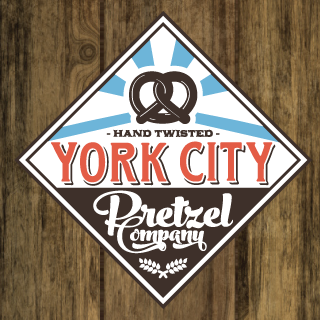 These hand-twisted, small batch pretzels have been gracing the dining scene in downtown York since 2014, and we wouldn’t have it any other way. You can find them at their store on W. Market Street, where they bake every pretzel the Bavarian way, or in a variety of other local restaurant dishes. These aren’t your grandma’s pretzels, they’re much better (just don’t tell her)! Roost Uncommon Kitchen is a Southern inspired kitchen that serves breakfast all day. Scratchmade biscuits, chicken and waffles, house smoked meats, creative egg dishes, hot coffee, and much more. Located in the heart of Downtown York, Roost is the perfect pick for Sunday brunches, morning meetings, and quick breakfast sandwiches. Tutoni’s menu of creative dishes and new spins on traditional Italian standards – rooted in the region’s abundant agricultural scene – offers customers a dining experience they can’t find anywhere else. They pair top-notch service in a sophisticated-casual setting while embodying the farm-to-table movement. Tutoni’s takes pride in working with local farms and farmers.